James Joseph Duffin MMR, age 90, passed away on Saturday, September 30th, 2017. 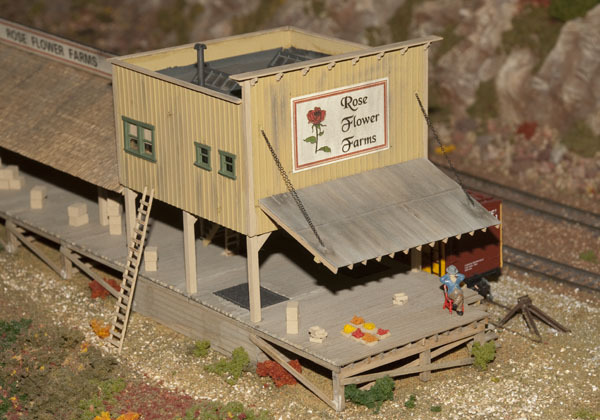 He will be missed by his model railroad friends whom he has helped over many years. 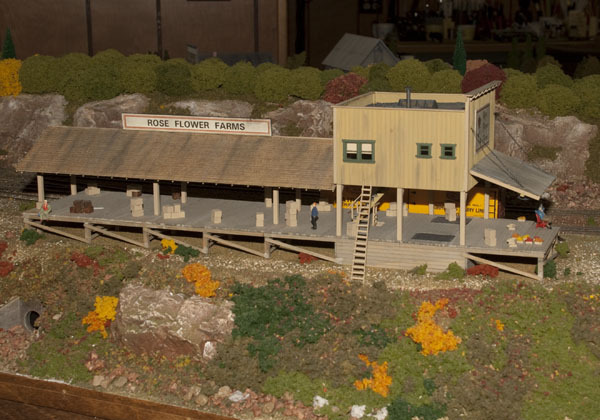 On Sunday April 3, 2011 I had the chance to visit the layout of Master Model Railroader #344. 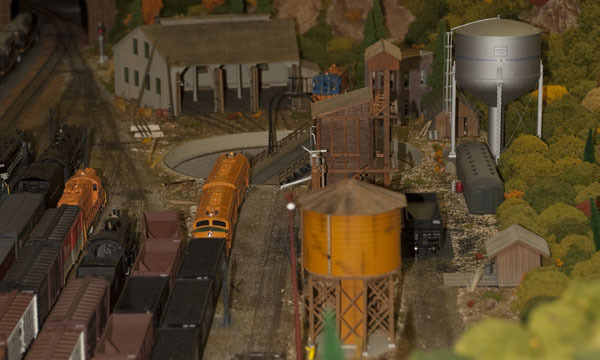 James Duffin (Jim), a member of the Du Page Division of the Midwest Region, he had his layout on the division layout tour. I saw an amazing layout with fine details. 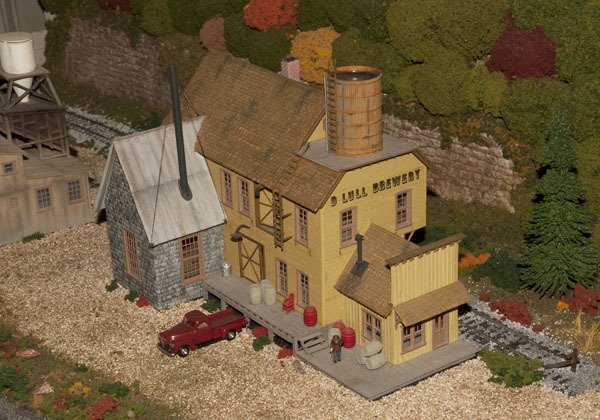 I want to share some of his work with you as it matches with our modeling and education goals in the Three Lakes Model Railroad Club. 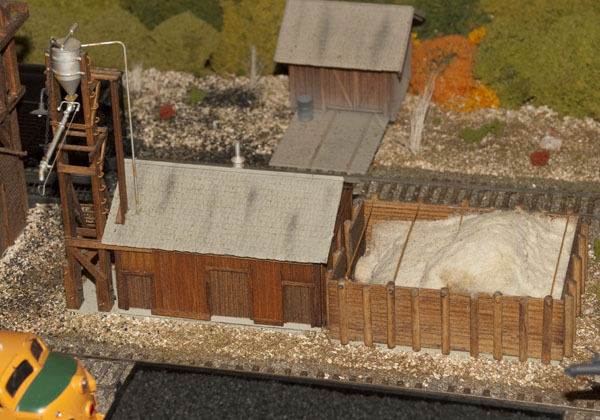 His layout is not overly large but includes all the elements that make a layout a miniature of railroad operational history. 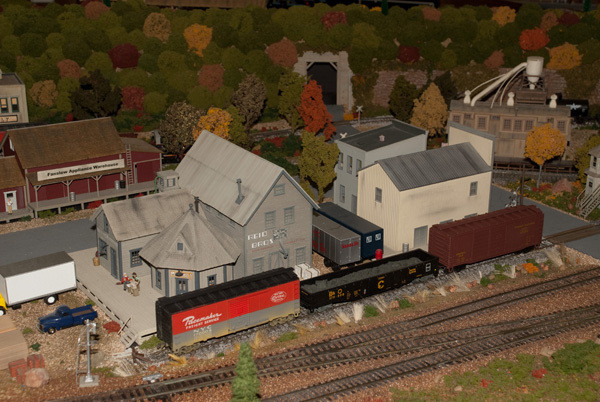 Jim models the Chicago Burlington and Quincy (CB&Q) during transition from steam to diesel. 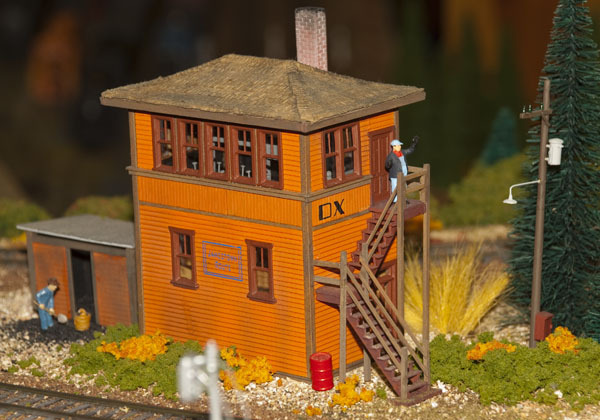 His layout was designed for operation by up to 4 operators using Direct Current (DC) and is now able to operate on Digitrax Digital Command Control (DCC). Photo 1 shows a control panel with the controls for DC operation via rotary switches selecting the cabs by color Red, Blue, Green or Yellow. Sockets with the same color code provided locations for plugging in the walk-around cabs. You will notice that all the rotary switches are set to yellow which is connected to his DCC system. Turnouts are all controlled by Tortoise switch machines from local control panels with Double Pole Double Throw (DPDT) switches. This uses a single 12 volt supply with the DPDT switch acting a reversing switch supplying current to move the switch points. Light Emitting Diodes (LED) indicates the position of the switch points. Jim built these control panels using 3/8th inch black Plexiglas and automobile pin striping tape in various widths and colors to create a very user friendly set of local panels. The care and detail in these panels serves only to indicate the quality of the rest of the layout. 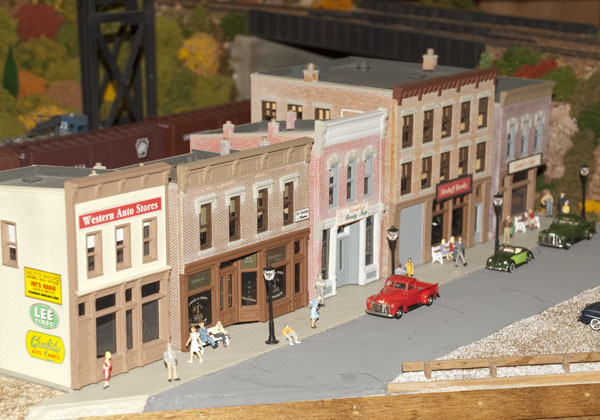 Detailed structures are found all around the layout. 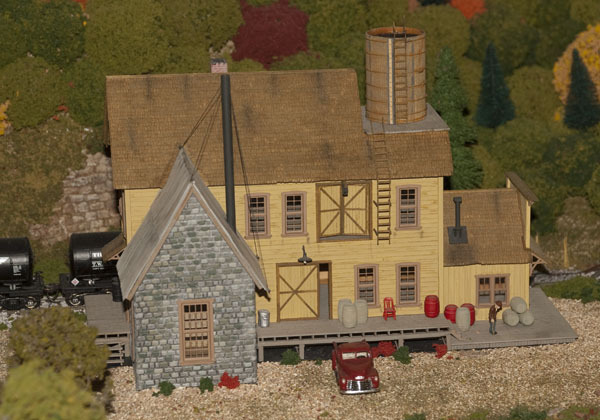 The buildings vary from scratch built to super detailed kits. 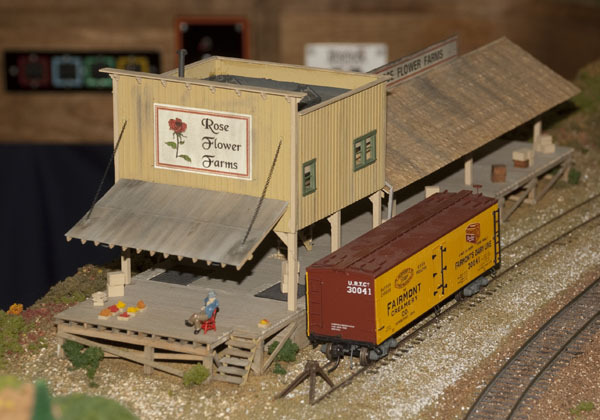 Materials include wood plastic and paper all painted, weathered and adorned with fine details. I have included a set of photos to show what can be done with buildings including plastic kits that have been popular for years and are still available today. 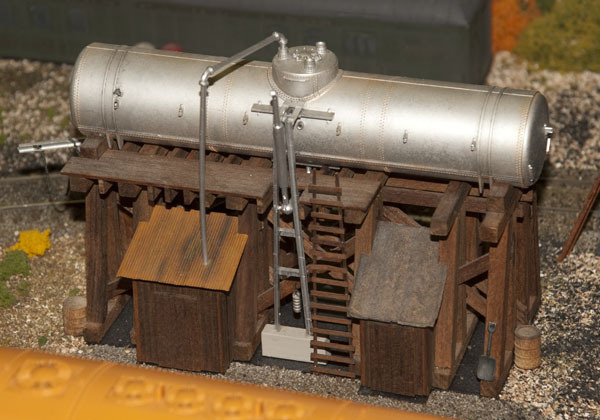 In the Jamestown Yard there are examples of super detailing of simple kits. 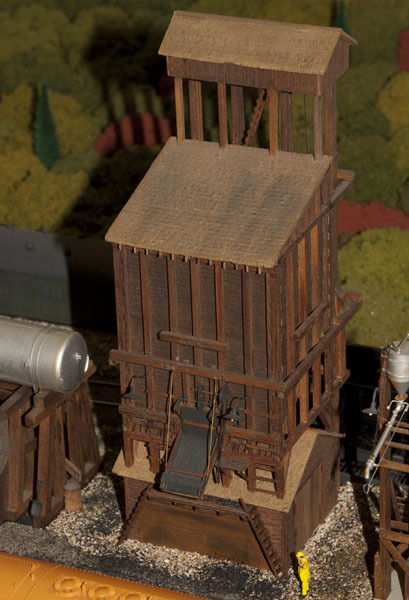 In photo 4 you can see the water tower from Atlas, a coaling tower, now from Bachman, and a sand house that was sold by Tyco and Con-Cor over the years. 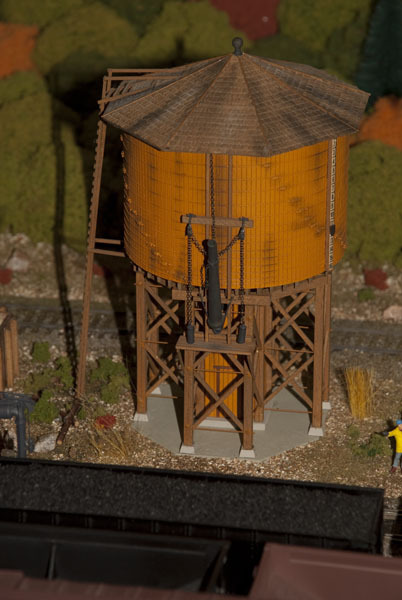 Here are detailed photos of these models. 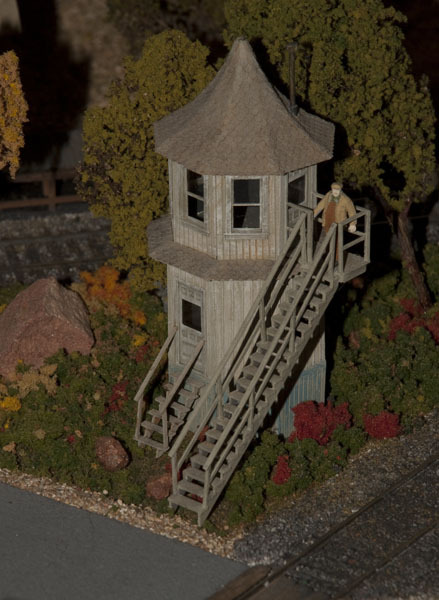 At Interlocking tower DX (Photo 10) we can see the Armstrong Union Switch and Signal Company Series A levers while Tower man Bob waves to the conductor on the caboose of a train that just pasted letting him know everything is ok as there were no automated hot box detectors in this era. 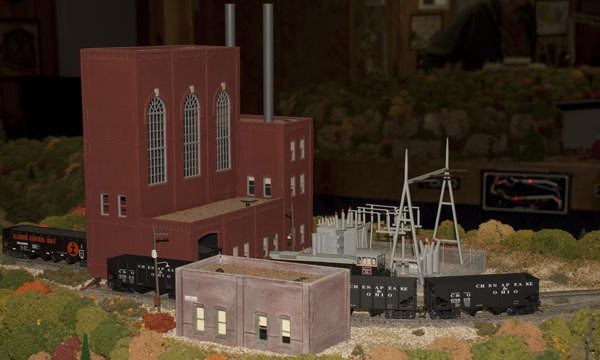 Jim built this power plant before they offered it as a kit. 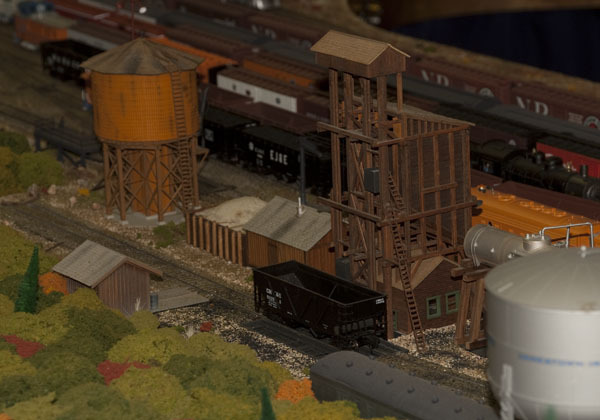 Buildings Scenery and Power systems are not the only things that go into a MMR’s layout there also is the Civil Engineering. 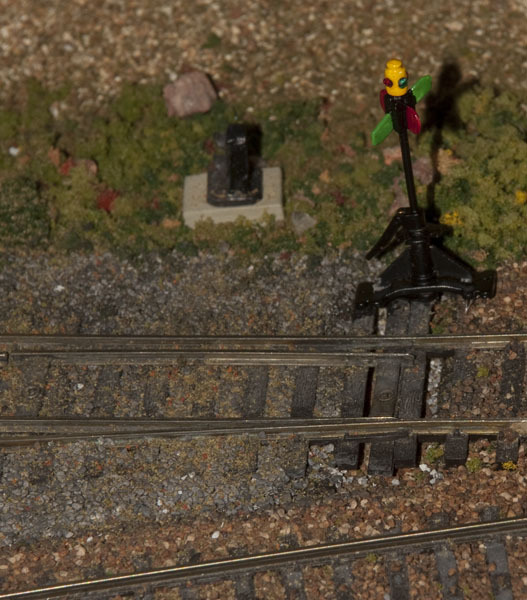 Photo 16 shows some track work including the points of a scratch built turnout, all be it with a new switch stand. This is just one of 3 track sections that Jim built and had judged, gaining more than the required 87.5 points to be awarded the Civil AP award. 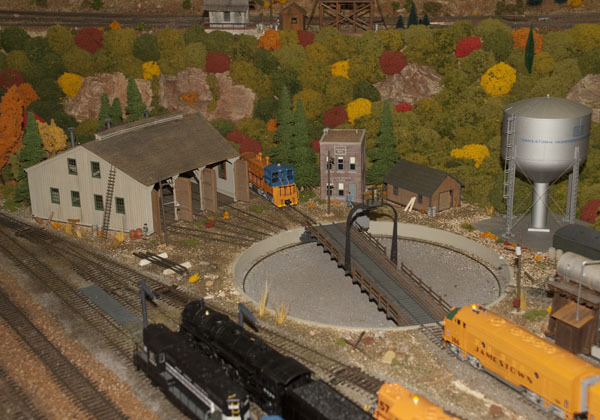 Model Railroad Engineer-Electrical, Association Volunteer, and Author.